With so many people now working from home a Garden Office provides the space to work quietly away from the family freeing up valuable space in the home. Garden Rooms are so versatile and can be used as Art Studios, Playrooms, Home Gyms, A Den for Teenagers. We can create a Garden Building that will give you a place you will love to spend time in with styling that will enhance the beauty of your garden. 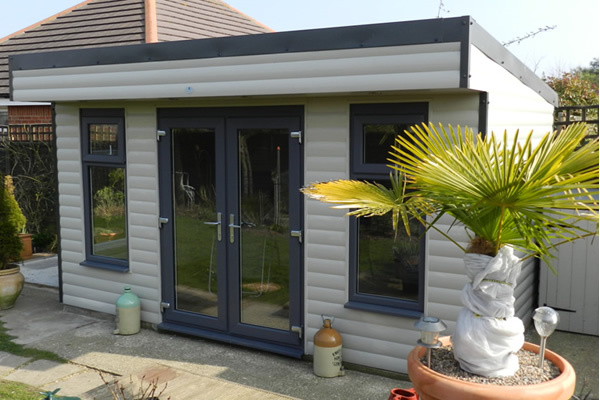 With a choice of at least 12 stylish colours to choose from to personalise the exterior of your building together with UPVC French doors and double glazed windows in the latest ‘must have’ colours your Garden Building will be individual.